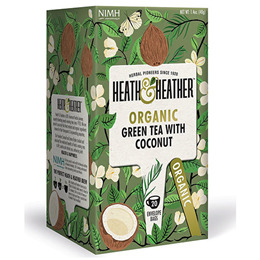 The creamy taste of Coconut is perfectly balanced with this light and delicate Organic Green Tea. With a captivating fragrance and deliciously smooth flavour, this unique tea will engage the body and mind for a moment in paradise with every sip. Organic Green Tea, Natural Flavouring. 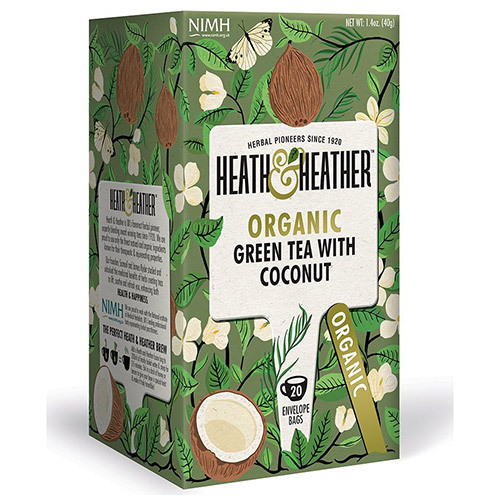 Below are reviews of Heath & Heather Organic Green Tea with Coconut - 20 Bags by bodykind customers. If you have tried this product we'd love to hear what you think so please leave a review. Had green tea in the past not this company and wasn't fussed. But I absolutely love this tea is has a delicate flavour nothing overpowers you.